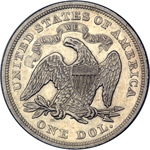 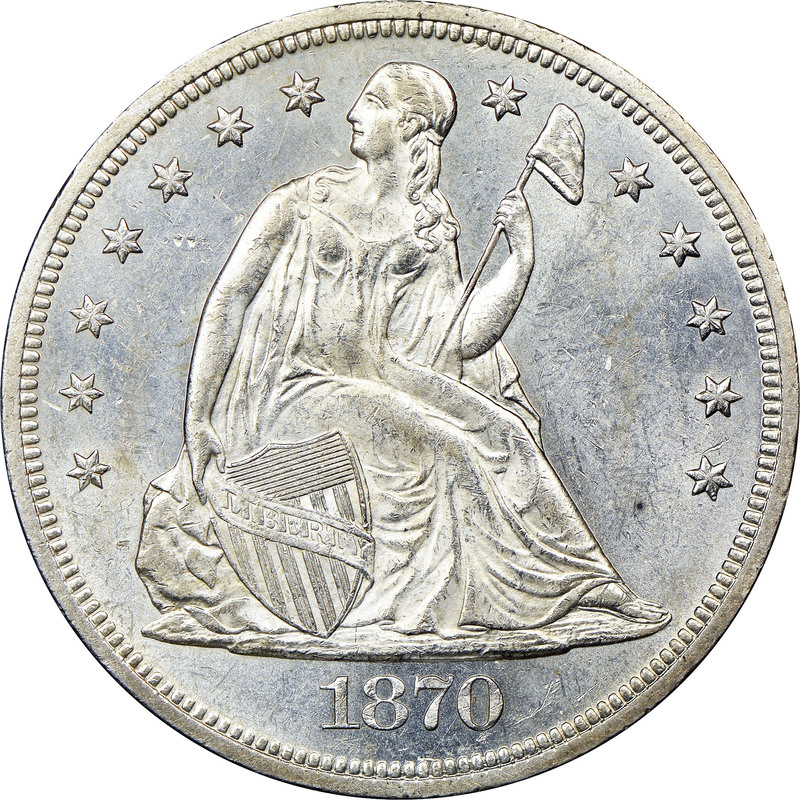 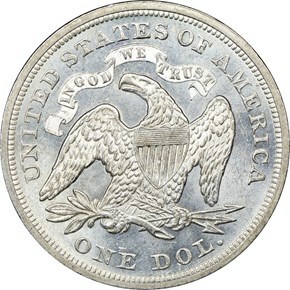 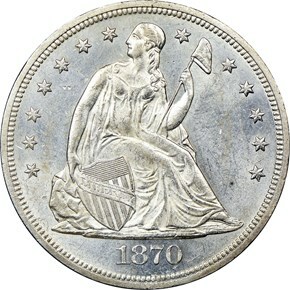 Were one to judge from the mintage alone (416,000 pieces struck), it would appear that the 1870 is a fairly common Seated Dollar. 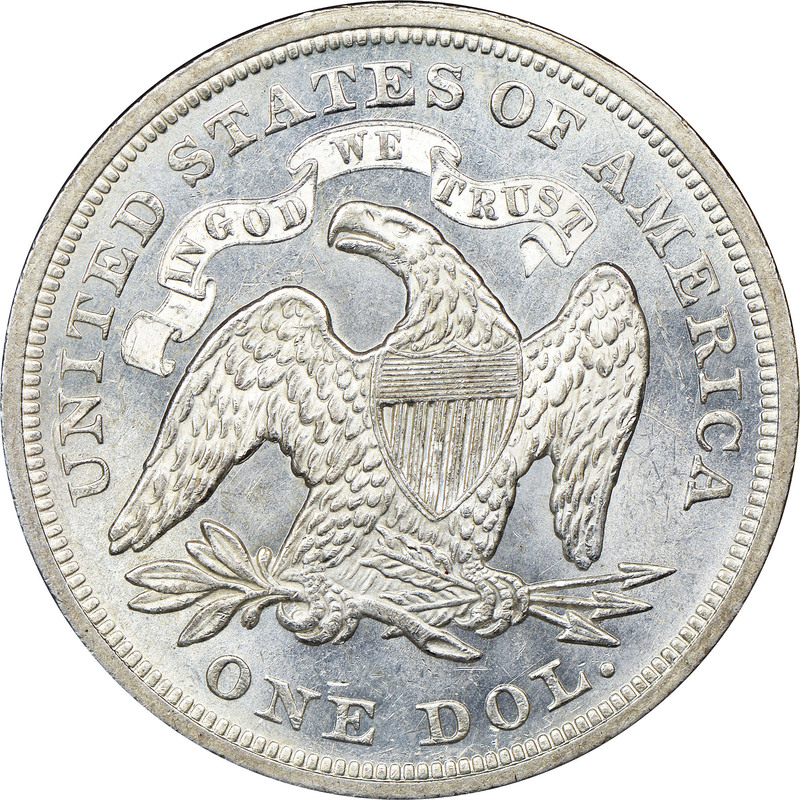 This is not the case, however, and the speculation is that quite a large number of this date were melted in 1918-20 under the Pittman Act. 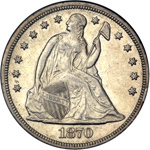 High grade coins are as difficult to locate as the several issues that precede it and, as with other dates, proofs are more available than business strikes.